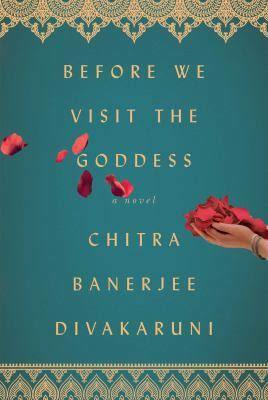 I first met Chitra Banerjee Divakaruni at a book festival and we bonded over our love of vegetarian food--two friends in a sea of people we didn't know! 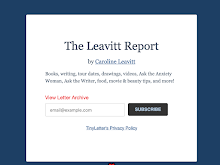 She's a wonderful writer, ] an Indian-American author, poet, and the Betty and Gene McDavid Professor of Writing at the University of Houston Creative Writing Program. 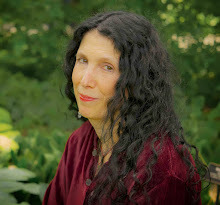 Her short story collection, Arranged Marriage won an American Book Award in 1995, and two of her novels (The Mistress of Spices and Sister of My Heart) as well as a short story The Word Love were adapted into films. Mistress of Spices was short-listed for the Orange Prize. Currently, Sister of My Heart, Oleander Girl, Palace of Illusions, and One Amazing Thing have all been optioned to be made into movies or TV serials. 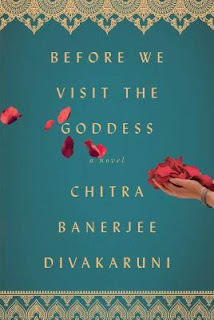 And her novel, Before We Visit the Goddess, is incredible! 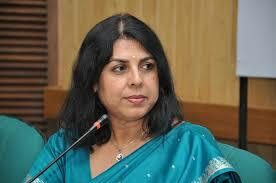 I'm thrilled to host Chitra here. Thank you, Chitra! What was it like writing Before We Visit the Goddess? Did you feel like you needed a whole other skill set? Yes I did! Because this book follows a different structure – it’s a novel in stories – I felt I had to study and learn that structure. So I read a number of books which had a similar structure, such as Louise Erdrich’s Love Medicine, and Jennifer Egan’s A Visit from the Goon Squad. This particular structure was very important for this novel because it allowed me to deal with three generations in a swift and (I hope) elegant manner without having to give unnecessary chronological details. It allowed me to skip from one emotionally resonant moment to another without necessarily having to explain all the things that happened in between. It allowed me to tell the story in many different voices, including some characters that affect the lives of the three main characters powerfully – but only during the moment of that one story. I loved the three generations of women and how alive they all were on the page. How do you create your characters? When do you know that they are breathing on the page? Before I write my characters, I have to be able to imagine them visually. I have to be able to hear their voices and see the expressions on their faces. I have to imagine them in a really stressful moment and figure out what they will do then. I have to know what they love and what they fear. When these things happen, then I feel my characters have come alive, and then I can write the rest of their story. I often write notes about my characters in a Character Notebook before I begin a novel. Your novel explores over 60 years of time and is set in both America and India. What was your research like? Did anything surprise you? I did quite a bit of research – much of it was about the life of the grandmother, who lived in India at a time when my mother was growing up there. I looked up a lot of old photos of Kolkata, which is very helpful for my visual imagination. I also did a lot of research on Indian sweets, as the grandmother becomes a famous sweet maker. I tried out some of the recipes that I put in the book – and I put them on my blog, Amazing Things, on my website. One of my characters comes from a small town in Texas, and he is gay, so I had to research what his life would have been like. In one of the stories, and animal is poisoned – I had to research that. Little things surprised me, but nothing major. Overall I think I had a good sense of the material even before I started my research. I’ve just started a novel based in an orphanage in India. When I was going to college in India, for some years I volunteered at an orphanage, and the stories I heard and the things I saw there—especially things that happened to girls – lodged deep inside me. I feel I need to write about that. Why did I write Before We Visit the Goddess? I started planning this book soon after my mother passed away. I guess she was on my mind and I wanted to write about something that formed an important connection between us. For many years of my growing up, my mother was a single parent who brought me and my two younger brothers up with great difficulty. She was an immense influence on my life. She used to always tell me that she wanted to me to be a successful woman. I wanted that, too, both for her sake and for my own, but I was never certain what exactly she meant by that. Things got even more unclear when I moved to America, where the rules all seemed to be different. So in this book, I explore the question of what it means to be a successful woman, and does this definition change depending on the era in which you live, and the country in which you live. This book is also deeply concerned with heritage-- I guess in the back of my mind I was thinking about what I have learned from my mother. And what I have passed on to my children. I hope these are questions that will resonate with my readers.